FRESH & BRIGHT! What a find, do call to see this exceptional, TOTALLY redone, 3 bedroom, 2 bath Warwick Village wonder. NEW EVERYTHING except the all-brick exterior. Bring your checkbook, I will bring a blank contract and this sparkling home can be YOURS! Great photos show the many improvements; call Ann today. Directions:From Old Town; Go west on Cameron; right on West Street; left on Braddock Rd. ; right on Commonwealth Ave.; left on Ancell Street. House will be on the left. SchoolsClick map icons below to view information for schools near 6 Ancell St Alexandria, VA 22305. Home for sale at 6 Ancell St Alexandria, VA 22305. Description: The home at 6 Ancell St Alexandria, VA 22305 with the MLS Number VAAX227334 is currently listed at $675,000 and has been on the Alexandria market for 24 days. 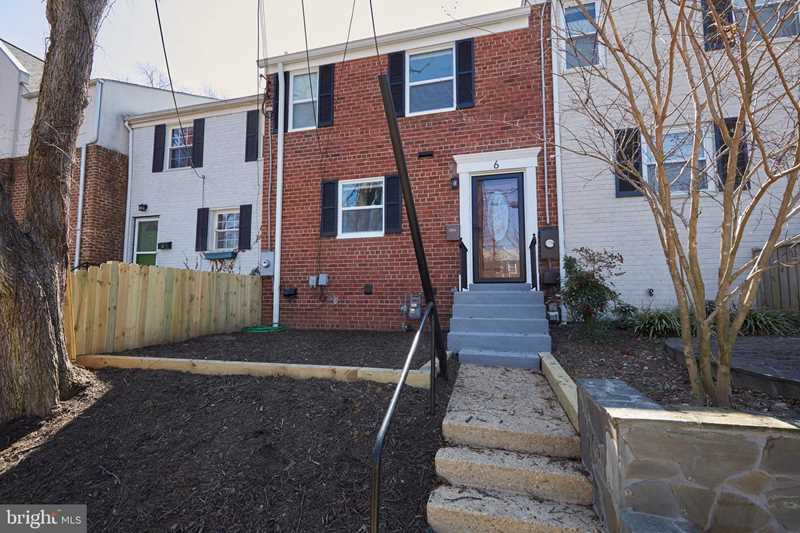 You are viewing the MLS property details of the home for sale at 6 Ancell St Alexandria, VA 22305, which is located in the Warwick Village subdivision, includes 3 bedrooms and 2 bathrooms, and has approximately 1653 sq.ft. of living area.